Below are a number of items and optional extras that ca be added to your Self Build Conservatory Project. Guide prices are included to help you estimate and plan your budget. 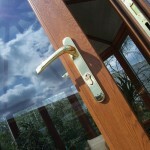 To specify upgrades to your self build conservatory, please include them on the online quote page. 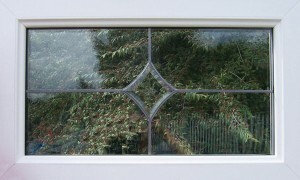 Roof vents have become an important addition to any south facing DIY Conservatory. 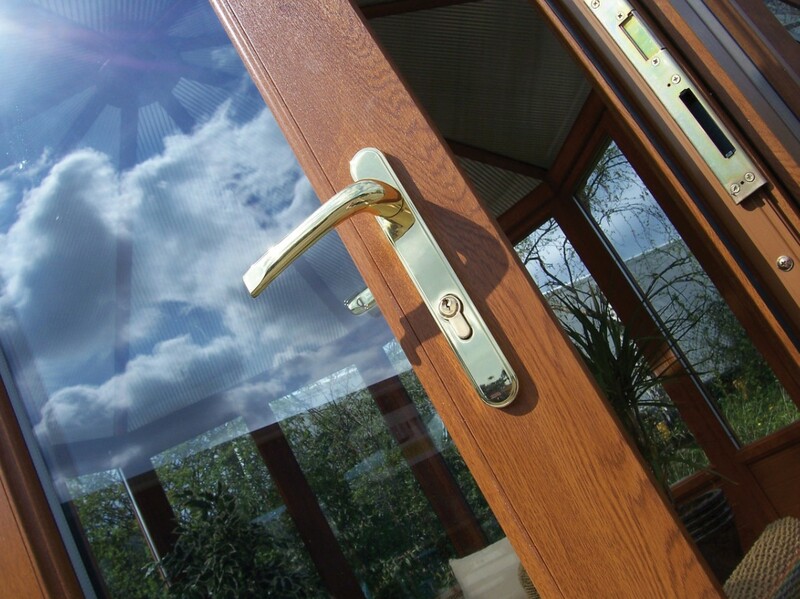 With the latest in Low-Emission technology, the conservatory when left locked up during a sunny day can reach quite extreme temperatures. As the heat build up starts in the roof, a cracked open roof vent allows the heat to escape without allowing the rain in. 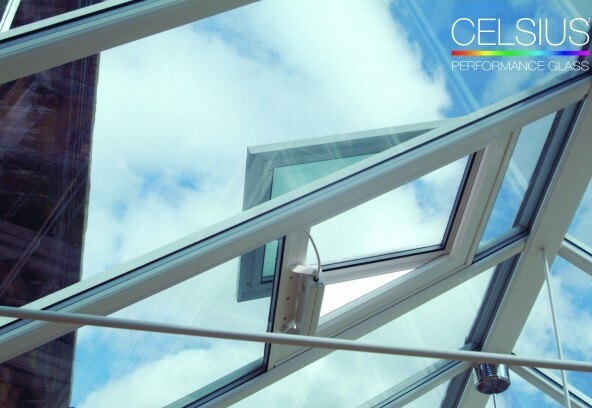 If the conservatory is hot, the best way to expel the heat is to open the roof vent fully and open a large window or door, thereby creating a chimney effect to draw the heat out. 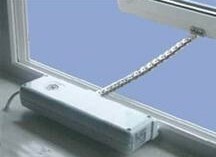 Manual roof vents are supplied with a winding pole and work in the same manner as a car jack by cranking the vent open. The upgrade from the manual roof vent is by adding an electrical motor that has a chain drive that is operated by a wall mounted rocker switch. 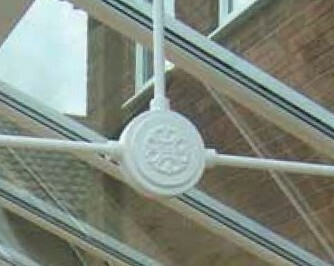 The tie bar is an essential structural component for any DIY Conservatory of over a certain width and/or projection. The calculation for the requirement of a tie bar will differ through different regions of the UK when taking predicted snow loading estimates into account. The function of the tie bar is to stop the frames from spreading under the weight of the roof. 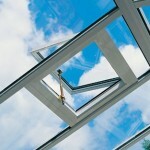 This is especially important when dealing with a heavy glass roof. 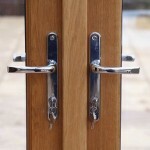 Choosing the finish color of you DIY Conservatories handles is a very personal decision. 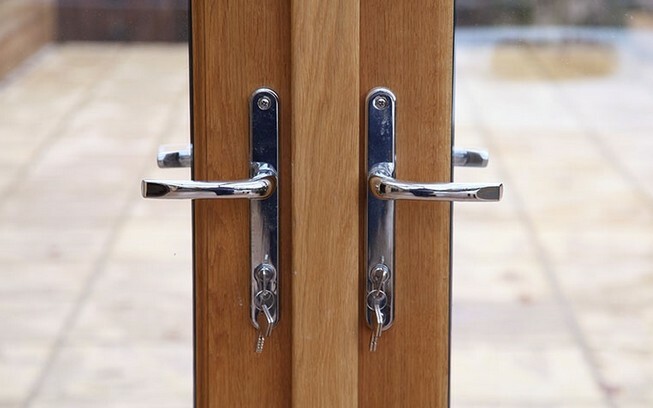 Traditionally ‘gold’ has been the most popular choice but today chrome is the handle of choice is it gives a modern aspect to the building. 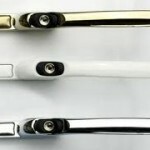 The gold and chrome handles are more of an architectural feature on either the white or wood grain PVC finishes, while the white handle is unobtrusive and just blends into the background on a white unit. 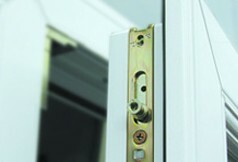 The window handles are key lockable and have a fully secure night vent locking position to allow for background ventilation. All windows are supplied top hung with stainless steel reflex hinges that can be adjusted to become stiff so the wind cant blow them open/shut. 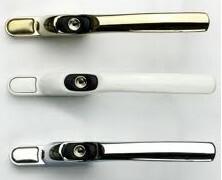 The windows have six locking points.Two shoot bolts, two cam sliders and two frame hooks on the hinge side. The door security system is two hook bolts, four shoot bolts, two cam sliders and one dead bolt. 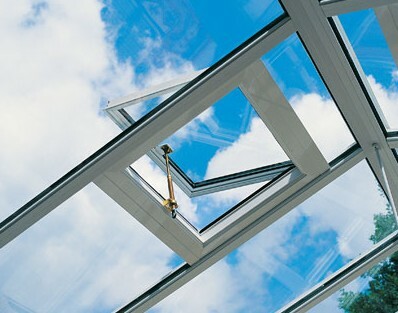 Polycarbonate is by far the most popular choice for DIY Conservatory builders in the UK. 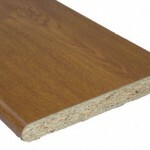 This is mainly down to it’s low cost and ease of installation. 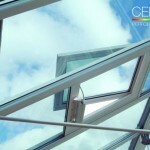 The standard polycarbonate supplied with a self build conservatory is 25 mm, five wall structure in clear, opal and bronze. 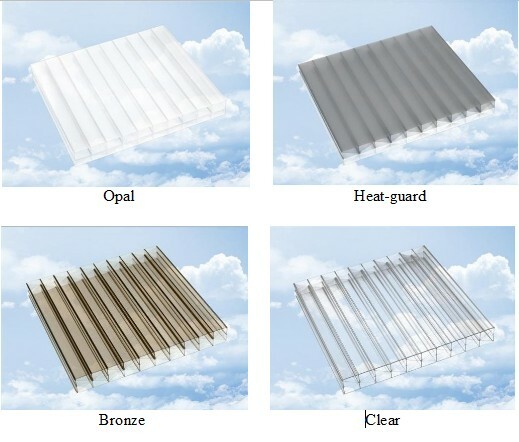 There is a heat-guard option available that will reduce solar heat gain by 50% and a bronze on opal option that will complement a wood grain finish and reflect light on the inside. 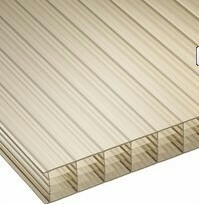 The upgrade to the standard 25mm system is the seven wall, 35mm structure. 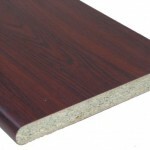 This has improved heat retention properties due to the additional cavities the heat must pass through. The 35mm system is supplied in all the same colors as the standard system. 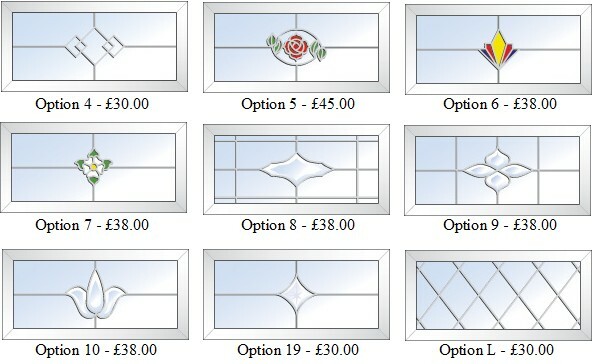 It is slightly more expensive but we can only quote once we know the style and size of your DIY Conservatory. Light transmission – the percentage of light passing through the polycarbonate sheet. 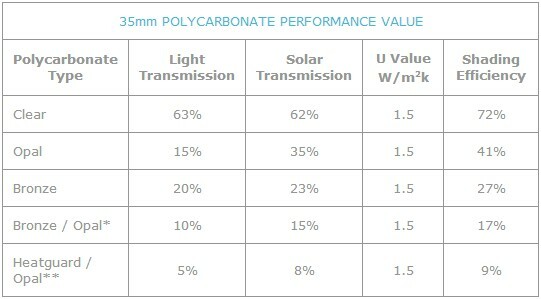 Solar transmission – the percentage of the energy generated by the sun that passes through the polycarbonate sheet. The lower the value the better. 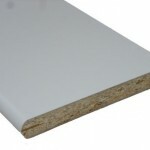 U-value – The ability of the polycarbonate sheet to retain heat within the conservatory. The lower the U-value the more efficient it is at retain heat. Shading Efficiency – the lower the percentage means that more shade will be generated. These images demonstrate the difference between an untreated glass roof on the left and a roof treated with blue tint on the right. In direct sunlight the conservatory with the untreated roof will have almost no protection heat and glare while the treated roof will reduce the solar heat gain and glare by about 70%. For details see the Celsius Glass page in the products drop down menu. Prices can only be calculated once the size is known. Please complete the Online quote page. 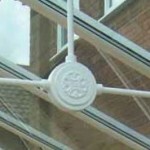 The below lead, resin and beveled designs will stamp your individual character on your DIY Conservatory. 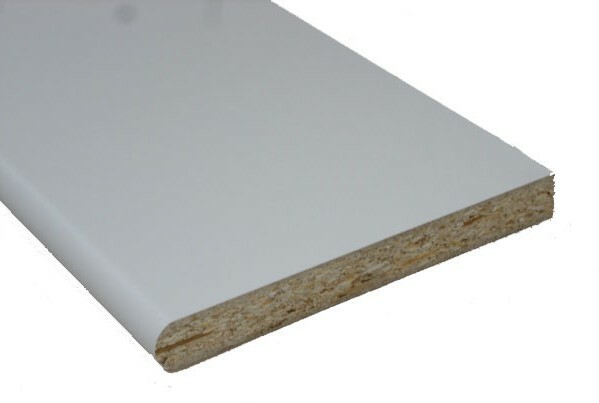 A compressed particle board with a tough white PVC finish, including end caps and joints. 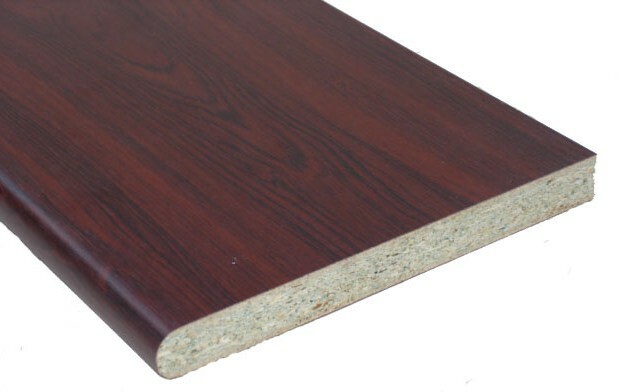 A compressed particle board with a tough rosewood PVC finish, including end caps and joints. 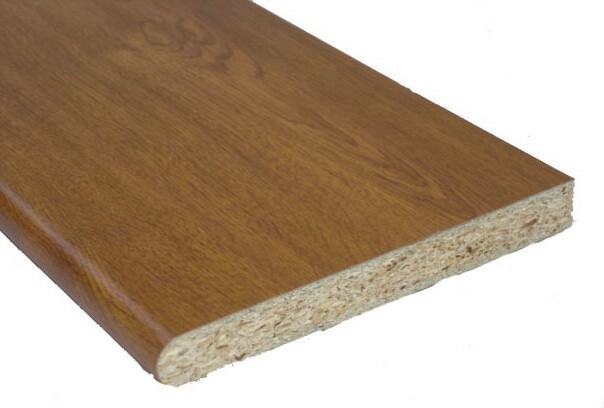 A compressed particle board with a tough light oak PVC finish, including end caps and joints.